Experts contend the greatest degree of corruption in American government happens at the local level, because that is where most land use decisions are made. Apparently, it is the same in China, but more lethally so. The late Qian Yunhui was a rare breed—a village chief who actually protested the government’s land appropriation schemes. That may very well be why he is now the late Qian Yunhui. 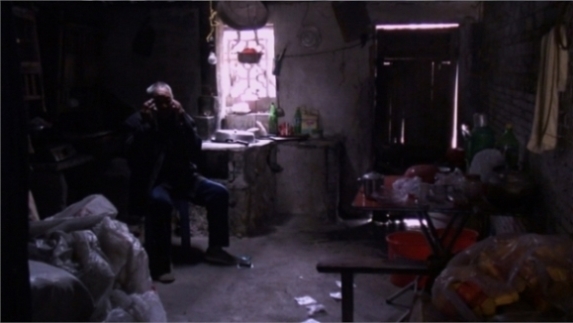 Ai Weiwei and his filmmaking team investigate the suspicious circumstances surrounding his death in Ping’an Yueqing (trailer here), which screens as part of Cinema on the Edge, a retrospective tribute to the Beijing Independent Film Festival now playing in New York at Anthology Film Archives. If you were still unclear how independent the Beijing Independent festival was and why the Communist government so resented their maverick programming, just start watching Ping’an Yueqing. Sadly, the village of Yueqing is anything but “peaceful.” Qian was imprisoned for over four years, but the village refused to elect another headman, because he was faithfully representing their concerns. Then one morning, Qian was conveniently struck and killed by a heavy truck owned and operated by the local power authority. After an unseemly short investigation, Qian death was ruled an accident and his two deputies were arrested for obstruction of justice. Sensing a cover-up, the internet quickly took up the case. As the citizen investigators explain to Ai Weiwei, the traffic surveillance camera was ever so strangely offline for maintenance exactly during the so-called accident. However, video recorded by Qian’s smart-watch device (like his own, personal Zapruder film) did not match the description of the scene in police reports. The few eye witnesses willing to testify also contradict the official story in various ways. Yet, perhaps the most damning circumstantial evidence is the pattern of troublesome Zhejiang officials who were previously done in by similar traffic accidents. Teacher Ai and his team do their best to put the dissembling officials on the spot. It is not always pretty, but the state mouthpieces generally conduct themselves more shrewdly than the apparatchiks in his classic Disturbing the Peace and So Sorry. However, the most disturbing sequences are the dozens of Yueqing villagers who tell Ai’s camera crews “if I talk to you, they will make me disappear tonight,” in exactly those terms. 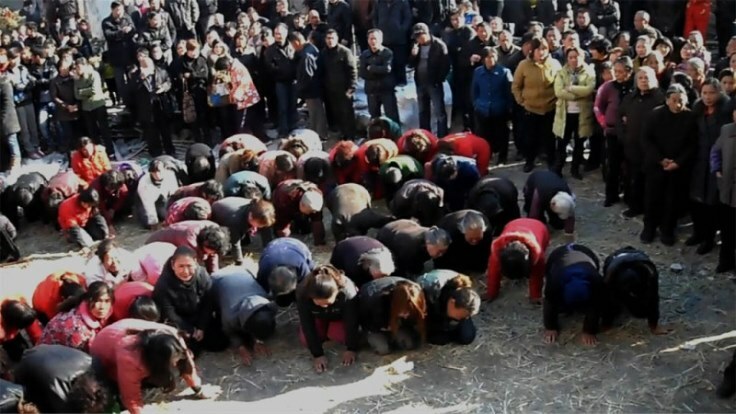 Regardless of the Qian case, this is obviously a profoundly ailing community, suffering from oppressive corruption. Ping’an uses the same straight, unfiltered approach as seen in other Ai Weiwei documentaries, but in this particularly complicated case, it would have been helpful to have an on-camera presence to help marshal the often contradicting testimony and to occasionally provide context. Of course, Teacher Ai would have been perfect for such a role, but he is not inclined to inject himself into other people’s stories. Regardless, Ping’an is a courageous example of independent filmmaking and investigative journalism. It shines a searing spotlight on a tawdry episode the Party would love the world to forget. Yet, thanks to Ai Weiwei and the Beijing Independent fest, cineastes who have never heard of Qian Yunhui will keep revisiting the events in Yueqing. A bold and chilling work of non-fiction filmmaking, Ping’an Yueqing is highly recommended for anyone who really wants to see what speaking truth to power really looks like when it screens tonight (8/9) and Thursday (8/13) at the Anthology Film Archives and as part of the forthcoming tour of the Cinema on the Edge retrospective.